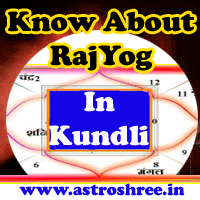 Impacts of Jupiter/Guru in 12 houses of kundli, Learn About Budh or Jupiter, know about the effects of Jupiter/Guru in 12 houses of horoscope, Free Astrology tutorial, how Guru puts impacts in our life, astrologer for horoscope reading and astrology tips for successful life. Jupiter is the spiritual master among the planets and therefore is respectable by every one. It is the planet of intelligence, spiritual powers, knowledge. A good Jupiter is able to make a person world famous spiritual master. It is also the giver of good children, education, name, fame, glamour etc. A debilitated guru deprive a person from the related things. In vedic astrology Guru is having a very important place and it is said that if any one is having the power of Jupiter only then in-spite of having other malefic planets person is able to get success in life. On the other hand if Guru becomes debilitated or negative in horoscope then also gives rise to struggle and obstacles. Here the person becomes sacred hearted, intelligent but short tempered. The person also gets benefits from the partner and is lucky in terms of name, fame in society. In spite of having less education person lives a life like a king. Responsibilities also come in life and become self dependent. Here if the Jupiter is in powerful state then no doubt person gets unexpected wealth in life and may be treasure also found by person. Good relationship with in-laws and benefits from them also happens in life. If person do good with others then Jupiter shows more positive impacts in life. Here the makes the person good in will power and so is a good friend and enemy too. This type of person if having good relationship then take care of it very much where as if become enemy then also makes the person disturb. Person get good job and does his duty honestly. Person having Jupiter in 4th house makes the life wonderful, glamorous, smooth. Here powerful Jupiter bless the person with every luxury in life. Here the person becomes good in education and lucky in progeny. Children are intelligent and also person gets good benefits from progeny side. Here the person faces problems due to malefic impacts of Jupiter, unwanted diseases, dullness becomes the part of life. So it is good to take proper measures after consulting astrologer. Here the person is lucky in terms of life partner, If Jupiter is supportive then after marriage bhagyoday takes place. In business also person gets benefits in partnership etc. The place of life, diseases, internal organs etc. Here the Jupiter affects the health and relations with partner too. Due to negative effects of Guru the marriage life also suffers, relations with in-laws also suffer. Here the person becomes lucky and in case the Jupiter is very strong then person becomes the famous person not only in a particular area but globally, also the person is religious too. But unfortunately if debilitated Jupiter present here then person earn from negative work and also involve in antisocial activities. Person become successful in job or business and is a good administrator. Because of the knowledge person is worshipped everywhere. But it is necessary to have good and positive Jupiter otherwise struggle arises in life. Person is able to earn from different sources and in authentic ways. Luck favours the person in making money from all direction. Positive Jupiter helps the person to maintain the earning and expenses in life and also person spend in religious work, in gaining knowledge of different types etc. Sometimes person also do over expenses which lead to problems in personal life. It is good to not go beyond limit while doing social work. So here some effects are given and if you want to know the positions of your planets in horoscope and there impacts in your life with solutions of problems then do consult astrologer now. How to reduce ill effects of Jupiter through astrology?